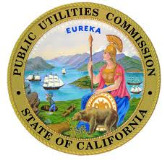 California's Public Utilities Commission (PUC) regulates the privately-owned electricity, gas and water providers, as well as the telecommunications and train industries. With responsibility for reigning in powerful natural monopolies, the commission is likewise vested with considerable power, operating outside the authority of the executive branch and directly controlling the rates utilities can charge. High stakes for utilities and ratepayers, growing concerns with energy efficiency and the controversial relationship between regulator and regulated have brought the PUC to frequent public attention. In 1911, the modern incarnation of the Public Utilities Commission was established by constitutional amendment as the California Railroad Commission. The Railroad Commission had been created once before, as a three-member group of elected officials in 1879. California's size and infrastructural isolation gave railroad executives enormous power. In planning where to lay their track they determined which communities flourished and which faltered, and the grants of land they claimed as building sites could be sold to settlers at great profit. By the turn of the century, the Southern Pacific Railroad Company held a virtual monopoly on California's rail service, as well as owning most of the ferries and wharves in the state. Faced with the power of the railroad industry, the Railroad Commission quickly became ineffectual. By 1910, Southern Pacific was so detested that Hiram Johnson built his gubernatorial campaign largely around his opposition to the company. After winning the election, Johnson saw the re-creation of a Railroad Commission with the strength to resist becoming an industrial patsy. The new commission would be comprised of five commissioners appointed by the governor, but would not fall under the governor's direct authority. It would enforce its own code as well as state laws, with broad power to regulate transportation services and rates on the behalf of consumers. The Public Utilities Act of 1912 extended these responsibilities to apply to natural gas, electricity, water and telephone services as well as railroads. The commission became the Public Utilities Commission, to reflect this change, in 1946. Since its inception, the PUC has expanded to handle new technologies like nuclear power and internet access. At the same time, government officials have attempted to reserve some of its functions for other agencies. In 1974, the Warren-Alquist Act provided for the creation of the California Energy Commission, which researches and plans energy policy as well as inspecting and licensing power plant sites. The birth of the agency did not end the PUC's own planning and research efforts, and attempts to streamline the two commissions' functions have failed. After deregulating the electricity market in 1998, California faced widespread power shortages in 2000 and 2001. The crisis, although caused by market manipulation rather than true lack of supply, has led to the PUC's increased focus on energy efficiency and sustainability. The Public Utilities Commission regulates water, power and telecommunication services, as well as certain transportation industries. Working with the utilities that provide electricity, natural gas and water to Californians takes up the majority of the PUC's resources, both in terms of expenses and staffers. The commission is in charge of utilities owned by private investors, but not municipal utilities or water cooperatives. In practice, this means the PUC regulates over 100 water companies and four energy companies: Pacific Gas & Electric, Southern California Edison, San Diego Gas & Electric, and Southern California Gas. The first three provide two-thirds of California's electricity. The first two are among the largest electric utilities in the U.S.. The commission operates independently from the rest of the government, somewhat like the state's higher education systems. The governor appoints five commissioners, who serve staggered six-year terms, and names one of them president. The commission is free to set rates and make rules with wide discretion within its sphere of influence. As the body that writes the Public Utilities Code and issues rulings subject to judicial review, the commission has both legislative and judicial functions. Only the California Supreme Court can review the PUC's decisions. The PUC must balance the need to incentivize good service from the utilities and telecommunications industry with consumer interests and safety. The Division of Ratepayer Advocates (DRA) operates independently within the PUC to help achieve that aim, advocating for low rates and environmental protections. To those who are skeptical of the commission's ability to fairly regulate in the face of industrial pressure, the DRA offers some cause for optimism, issuing reports and recommendations evaluating service from the consumer perspective. In 1996, when the commission proposed reorganization into its current structure of one industry per division, it also initially suggested eliminating the DRA. The plan met with opposition from consumer advocates—including Mike Florio, whom Governor Jerry Brown would name commissioner 15 years later—and was revised. The PUC manages a variety of programs to make services accessible to low-income and disabled people, and to underserved areas. These include lower consumer rates based on income, household size, imminent disconnection of service, use of medical equipment or military status. Lower rates are available for energy, telephone and water services. The commission also provides free weatherization to low-income households through their Energy Savings Assistance Program and equipment and services for disabled people through their Deaf and Disabled Telecommunications Program. In the past decade, the commission has attempted to increase access to high-speed internet. PUC commissioners and other staffers have participated first in the Broadband Task Force, which issued two reports recommending development measures, and now in the California Broadband Council, which works to see those recommendations implemented. The commission also administers the California Teleconnect Fund, which offers discounts on broadband internet access to educational and community organizations, and the California Advanced Services Fund, which provides grants to telecommunications companies for building infrastructure to bring broadband access to new and underserved regions. As a condition of approving the mergers of SBC with AT&T and MCI with Verizon in 2005, the PUC required the telecommunications companies to donate money for the establishment of the California Emerging Technology Fund, which also works to expand internet access. The nonprofit is not a state entity, but the PUC appoints four of the twelve directors on its board. The PUC also runs programs to incentivize renewable energy use. Through the California Solar Initiative and the Self-Generation Incentive Program, households that install solar, wind and biogas power systems receive direct payments based on the size of the system or the amount of energy it creates. With the implementation of the feed-in tariff, small renewable energy producers can obtain contracts to sell energy to utilities at rates based on the cost of production. The PUC also enforces the California Renewables Portfolio Standard, which requires utilities to buy 20% of their energy from renewable sources, a mark they've yet to reach. That goal is set to rise to 33% by 2020. In addition to its broad authority over the big utility companies, exercised to the greatest effect in its setting of rates, surcharges and reimbursements, the commission has more limited powers over other matters. It is responsible for the financial regulation of nuclear power plants owned by the utilities it oversees, while the federal Nuclear Regulatory Commission handles safety issues. (In spite of this distinction, it created the Diablo Canyon Independent Safety Committee in a 1988 settlement.) It ensures the safety of electric cooperatives and propane distribution systems, and of natural gas use in mobile home parks. It also still holds its earliest function of regulating trains and registering other passenger carriers. The Public Utilities Commission's largest contracts are with researchers, consultants and lawyers. In the first three quarters of 2011, nearly half the money spent on new or amended contracts went to groups to assess the impact of proposed infrastructure projects on the environment, in compliance with the California Environmental Quality Act. The PUC also awarded multimillion dollar contracts to law firms for representation against a class action employment discrimination case and in front of the Federal Energy Regulatory Commission, to consultants for review of Pacific Gas & Electric's SmartMeter system and to organizations for development of a multilingual educational service about LifeLine, the state's low-income telephone program. In 2010, the PUC awarded almost $90 million in contracts, about 7% of its total budget. That number is small when compared with the utility and telecommunications markets the PUC regulates. Pacific Gas & Electric alone made $13.8 billion in 2010—revenue gained through rates the PUC set. The commission also decides whether to reimburse utilities for construction and maintenance expenses or lawyers' fees. It signs off on the energy wholesalers the utilities use. And its rulings establish the standards of service to which power, water, phone and internet companies must adhere, and therefore the amount they must spend to meet those standards. Top 10 Contractors: The list below contains official contractors the commission did business with in 2012 based on service contract information gleaned from eSCPRS and updated by the PUC. The PUC certified the Diablo Canyon nuclear project for construction in 1967 and the plant has not been long out of the news in the more than 40 years since. Its location in an earthquake-prone region combined with owner Pacific Gas & Electric's (PG&E's) attempts to obfuscate potential dangers have earned the plant an array of opponents, including first-time Governor Brown, former PUC President William Bennett and the more than 2,000 protestors arrested at the site since building started. Two years after PG&E broke ground, Shell geologists discovered the Hosgri Fault two and a half miles offshore from the future plant. PG&E denies knowledge of the fault prior to 1972, and the public was not made aware of it until the year after. The revelation contributed to the fervor of anti-nuclear activists. In the late ’70s, the Abalone Alliance led the attempt to shut down the plant with repeated blockades of the location, as well as rallies and teach-ins. In 1980, the PUC denied a request to reexamine its certification of Diablo in light of the discovery of the Hosgri Fault. Thousands of ratepayers sent their utility bills to the commission in protest, and the Abalone Alliance held a sit-in at the PUC’s San Francisco headquarters. PG&E revealed that it had built some seismic supports incorrectly—-in a mirror image of where they were supposed to be—in 1981. The momentum to close the plant lasted into the mid-1980s. PG&E continued to re-estimate the costs of construction upward and deny any safety concerns to the Nuclear Regulatory Commission (NRC) and the public. In 1984, in the midst of a federal investigation and legal battles, a PUC judge ordered PG&E to refrain from destroying any documents concerning the plant and its safety. With the certification question settled and the NRC in charge of safety considerations, the scandal of the Diablo Canyon Nuclear Plant, for the PUC, has been the scandal of passing on the costs of PG&E's errors to ratepayers. In 1988, the PUC ignored its own consumer advocacy body and approved a deal to allow PG&E to recoup $4.4 billion in construction overruns through ratepayer fees. PUC President Bennett appealed the decision to the state Supreme Court, to no avail. Every year from the time Diablo began commercial operation in 1985 until 1990, the PUC approved a rate increase for those served by the plant. Rates climbed so high that PG&E agreed, in 1993, to a rate freeze. In 1995, the PUC negotiated a 32% cut in rates. The Diablo Canyon nuclear facility has returned to the public eye in recent years due to its relicensing application to the NRC and the 2008 discovery of the Shoreline Fault. The fault is only a mile offshore from the plant. Meanwhile, the 2011 nuclear disaster at the Fukushima Daiichi plant in Japan, brought on by a tsunami and earthquake, have brought national attention to disaster preparedness at U.S. nuclear plants. PG&E applied to the PUC for reimbursement of its relicensing costs in 2010. The utility is required by state law to perform seismic studies, and the PUC has approved funds for it to do so. Under public pressure, PG&E asked that the NRC refrain from final relicensing until those studies were complete. Congresswoman Lois Capps and state Senator Sam Blakeslee weren't entirely appeased by this gesture, however, demanding a formal suspension of the process. The Alliance for Nuclear Responsibility, the California Public Interest Research Group and others have urged the PUC to refuse to permit ratepayer funding for relicensing until the seismic studies are complete. A PUC hearing on the matter has been cancelled “to be reset upon motion of the parties,” the commission website states, without further comment. In 1996, the Legislature passed AB 1890, restructuring the electricity market. The plan deregulated the wholesale pricing of electricity and allowed consumers served by the big three investor-owned utilities to choose another power supplier. The goal was to use competition to drive down costs while allowing consumers a broader range of choices. From the measure's implementation in 1998 until 2000, deregulation was a modest success. Wholesale prices fell. At least 98% of residential customers remained with their utility companies, but businesses were more likely to make use of their new options and some individuals chose eco-friendly suppliers or other boutique plans. The problem came with rising wholesale prices in 2000. The PUC had frozen the investor-owned utilities' consumer rates at levels projected to be somewhat inflated, as compensation for infrastructure the utilities owned made redundant by the newly deregulated market. The rate freezes were set to expire when those losses were recouped, or in 2002. From April to June in 2000, wholesale prices more than quadrupled. Because of the rate freeze and the obligatory nature of electricity service, Pacific Gas & Electric (PG&E) and Southern California Edison (SCE) were now selling at a loss. San Diego Gas & Electric (SDG&E), on the other hand, had cleared its preexisting investments and moved out of its rate freeze. Its customers felt the financial burden right away. In August, SDG&E filed the first complaint of market manipulation. By January 2001, the state began large-scale rolling blackouts as a means of rationing electricity. Governor Gray Davis declared a state of emergency and ordered the Department of Water Resources to buy energy for the financially constrained utilities. The PUC approved a rate hike to pay for the long-term contracts the department signed at well above normal market prices. PG&E declared bankruptcy in the spring. The PUC rescinded consumers' ability to choose their electricity supplier in September 2001, ending the partial deregulation experiment. Subsequent investigation revealed that energy providers had exploited the new market structure to drive up wholesale prices. While reliance on out-of-state electricity and California's growing population played some role, the supply gap was largely invented for private gain. Energy suppliers—Enron among the most egregious—closed down plants for maintenance during peak hours and reserved more capacity on the power lines than they required to deliberately “game” the system. Various state agencies and officials passed around responsibility for the electricity crisis. Governor Davis pointed out that he inherited the law that allowed market manipulation and blamed the Federal Energy Regulatory Commission for not intervening sooner. He was recalled by special election in 2003 in part due to the crisis. The PUC ended up issuing bailouts to both SCE and PG&E, much to consumer advocates' ire. The deals required ratepayers to cover the utilities' losses from the crisis, despite the fact that the price freeze that caused the utilities' insolvency had itself been designed to cushion those companies with ratepayer funds. Reimbursement for $227 million in legal fees for PG&E's bankruptcy proceedings created particular resentment. The specter of the electricity crisis continues to play a role in current policy debates about over regulation, energy efficiency and public accountability. In part as a response to the electricity crisis, the PUC has been working with utilities to move to “smart” electricity and gas infrastructure. The new technology aims to make the entire power grid more efficient by creating consumer incentives to use less energy at peak times and by allowing the remote reading and control of meters. The utilities, the PUC and other officials contend that the end result will be fewer power plants and greater sustainability and flexibility as the population grows. The PUC has faced significant consumer uproar en route to that goal. Opponents of the meters resent the intrusion on their personal freedom, finding the utilities’ capacity to adjust the meters remotely ominous. In 2008, state Senator Tom McClintock’s bill to forbid the installation of the devices without consent was vetoed by Governor Arnold Schwarzenegger. Consumer advocates criticize the tiered payment structure facilitated by the meters as penalizing low-income users. Incentives to adjust usage only work for those with the flexibility to make those changes, as The Utility Reform Network points out. The wireless transmission of more detailed user information has also raised concerns that the information could be hacked and used by burglars or shared without consent. In 2010, Democratic state Senator Alex Padilla's bill ordered privacy protections for users, and the PUC released new privacy rules in 2011. These warnings about the smart meters’ drawbacks when operating as advertised were less contentious than reports that they didn’t. Many customers in the first areas where PG&E installed the meters said that their bills rose precipitously as a result. Public opposition was so strident that the PUC ordered an independent assessment in 2010, which confirmed the meters were accurate. Opponents of microwave radiation also warn of health risks posed by smart meters, which operate through radio frequency transmissions. The constant communication between the meters and the grid means exposure no resident can escape. The utilities point out that the emissions from the meters are within the Federal Communications Commission’s limits, although those limits are higher than in many other countries. The multivalent opposition to smart meters finally led the PUC to instruct utilities to create opt-out procedures for their customers, available as of 2011. It remains to be seen whether consumers will have to pay for the privilege of opting out, or how much. Under the current procedures, the PUC’s executive director can overrule those who opt out by letter, at a utility’s request. In 2010, PG&E spent $46 million dollars promoting Proposition 16, the ballot measure it wrote to limit the spread of municipal utilities. The initiative required two-thirds of voters to agree before local governments could establish their own energy procurement and delivery companies. The transparent attempt to limit any loss of PG&E customers combined with the use of shareholders' money in that effort irked the PUC, legislators and consumer advocates. Two months before the vote on the measure, the PUC passed rules to keep the utilities from obstructing the local energy co-ops it targeted. Private utilities could neither refuse to sell electricity to the co-ops or preemptively encourage potential co-op members to opt out, the PUC warned. Proposition 16 was voted down despite its opponents' disproportionately limited spending. After the measure failed, state Senator Mark Leno introduced SB 947 to prohibit PG&E (as the only “electrical and gas corporation that serves more than 3,000,000 customers”) from using ratepayer funds for political campaigns, and ban the PUC from considering political expenses when setting rates. The bill was defeated in committee. In September 2010, a pipeline in San Bruno burst, venting massive amounts of flaming gas into the air. The accident killed eight people and destroyed 38 homes. Investigation has revealed systemic safety failures on the part of PG&E, the pipeline's owner, and a hands-off approach to regulation by the PUC. The San Bruno pipeline was moved in 1956. It was welded only on the outside, a problem which would have been evident by visual inspection. In 1961, when the PUC ordered pressure testing for gas pipelines—which would likely have burst the defective pipe—it exempted preexisting lines from the requirement. The National Transportation Safety Board's report, released in August 2011, was thorough in its criticism of the commission as well as the utility. While recommending that the PUC perform a comprehensive audit of PG&E, it also recommended that the governor assess the PUC's regulatory effectiveness. Public outrage over the incident was compounded by the fact that it followed another explosion, in Rancho Cordova in 2008. The Rancho Cordova explosion, which killed one man in his home and injured five others, was also the result of faulty PG&E pipe. Amid skepticism about the PUC’s ability to impose appropriate penalties on utilities, the commission assessed a $26 million fine to PG&E for the Rancho Cordova pipe failure. PG&E has proposed $2.2 billion in repairs to its natural gas pipelines, including inspecting and replacing old pipe and installing automatic shutoff valves. While no one contests the necessity of those improvements, PG&E's suggestion that rate hikes should pay for $1.96 billion of them has drawn widespread anger. The PUC has yet to rule on the proposal. As of August 2011, there were 1,751 registered lobbyists in California. That’s about a 40% increase over the previous year. For the first six months of fiscal year 2011-12, lobbyists representing utilities like Verizon and PG&E spent $7.3 million in the state. Oil and gas lobbyists like Chevron, BP, ExxonMobil, Shell and ConocoPhillips spent $6.1 million. Many of those companies, plus AT&T, Goldman Sachs and J.P. Morgan, have representatives sitting on the board of directors at the California Foundation on the Environment and Economy (CFEE) and donate money to it. The nonprofit regularly brings lobbyists and the PUC together for overseas travel-study getaways. The guest list for one 12-day trip to Madrid, Spain, in 2010 with stops in Barcelona and Seville—sponsored by the CFEE—included Peevey and his wife, state Senator Carol Liu, two state senators, several Assembly members, PUC Commissioner Nancy Ryan and a number of energy industry representatives. PG&E’s senior vice president of energy procurement and executives from Chevron, Mirant, Covanta Energy Corporation, Shell Energy North America and engineering giant AECOM were part of the group. In 2011, the PUC proposed a nonprofit foundation to support its activities and organized a fundraising dinner for it. Many state agencies have similar nonprofit adjuncts, but this case stood out because the prospective donors were the utility companies, who paid as much as $20,000 per table to attend. In the wake of the deadly San Bruno explosion in September 2010, however, the appearance of overfamiliarity between the commission and the companies it regulates drew particularly sharp criticism. Assemblymember Jerry Hill said that the event was evidence of a “culture of collusion.” Ultimately, the plan was scrapped and the money donated to charity. PG&E spent $243,000 lobbying the PUC over an 18-month period preceding the pipeline blast. In 2005, Governor Arnold Schwarzenegger attempted to consolidate energy-related agencies into a new Department of Energy. Under his plan, the Public Utilities Commission and the Energy Commission (EC), along with sundry others, would be jointly headed by a secretary of energy, who would represent California's energy interests before the Legislature and the Federal Energy Regulatory Commission. The governor's proposal was lauded by the Legislative Analyst's Office and the Little Hoover Commission for consolidating regulatory authority and renewable energy programs into one department. The proposal also recommended transferring some responsibility from the PUC to the EC, however, which presented legal difficulties given the PUC's constitutionally-enshrined authority. The reorganization stalled on this point. In the wake of the San Bruno explosion, Assemblymember Jerry Hill, whose district includes San Bruno, has proposed several reforms to the PUC. AB 838 requires the PUC to designate one of its commissioners as responsible for public safety issues and to name a public safety employee to support that commissioner. The bill is currently in committee. AB 1055, which awaits Governor Brown's signature, prohibits commissioners from soliciting donations from those they regulate. Senator Christine Kehoe's SB 801, passed in September 2011, requires financial disclosure statements from a variety of public officials, including public utilities commissioners. In 2008, the Pew Center on the States identified California as the largest participant in the clean energy economy by every measure, with the most green jobs, capital investment, patents and businesses of any state. Clean energy has been a steady focus of the PUC, President Michael Peevey and the California Legislature for the past decade. However, anti-global warming and pro-green business policies come with costs. While the greening of California's economy and the PUC's related policies have mostly been heralded as successful, both conservative free-marketers and liberal consumer advocates have questioned how those policies are paid for. The chief benefit of clean energy is obvious: lower pollution as a percentage of business activity and residential population. Even for global warming denialists, the benefit of producing energy while expending fewer resources is clear. Proponents of subsidies to green businesses and to users who produce their own energy say the government has a role in investing in alternative power for the long-term benefit of the state. The subsidies make research and development that is on the whole more costly than traditional energy production possible. Phaedra Ellis-Lamkins, CEO of the Oakland-based nonprofit Green For All, claims they also enable green businesses to compete in a global market in which other governments are offering even larger subsidies. Proponents of the Renewables Portfolio Standard, by which the utilities must procure 20% of their energy from renewable sources as of 2010 and 33% by 2020, argue that the standard is not only good in itself, but will force further investment in alternative energy. The argument here can be somewhat circular: without government subsidies in renewables, public officials say, it would be extremely difficult for utilities to meet their portfolio goals. All of these measures are also praised as creators of jobs in a segment of the economy that will only get larger. Free market opponents of renewable energy policies say that the need for subsidization is proof enough that the green economy shouldn't exist. State Assemblyman Dan Logue launched a ballot measure to repeal AB 32, which introduced state capping and trading of greenhouse gas emissions, in part based on this logic. “If AB 32 is going to create jobs as they say, why do we need a law?” asked Logue. “Green jobs are unsustainable.” Logue also believes that global warming isn't scientifically proven to be the result of human activity. The proposition failed. Ratepayer advocates, including the PUC's own Division of Ratepayer Advocates (DRA), have also had concerns about charging consumers to subsidize green projects—both through the public goods charge and through rate hikes utilities ask for to buy more expensive renewable energy. In its report on utilities' adherence to their renewable standards, the DRA accused the commission of approving alternative energy projects that were more expensive than the market could explain. Governor Brown wasted no time in replacing controversial Public Utilities Commission (PUC) President Michael Peevey with a man who worked for him in his first administration, 32 years ago, on another form of toxic substance control. That last qualification may be the most important on his resume. The PUC regulates electric and gas utilities, private water companies, intrastate rail, livery and bus service, ridesharing and some telecommunications, but it is presently getting most of its publicity for events surrounding the 2010 San Bruno gas pipeline blast that killed eight people and leveled a neighborhood. Explosive e-mails, being released in large and small batches, are revealing scandalous and, perhaps, illegal back-channel communications between the commission and Pacific Gas & Electric (PG&E), which it regulates. Brown also announced the appointment of Liane Randolph to the scandal-wracked five-person commission. Randolph, the general counsel at the California’s Natural Resources Agency and a Democrat, will take Picker’s seat. Picker received a Bachelor of Arts in English from Immaculate Heart College in Los Angeles in 1974. Picker, a Democrat, was deputy assistant for toxic substance control in the Office of the Governor in 1981-82 when Jerry Brown was governor the first time around. He was instrumental in establishing programs to safely site hazardous waste facilities and developing waste management programs, which are still in effect at the Department of Toxic Substances Control (DTSC). His job overlapped his work as a stop-environmental-cancer organizer at the Campaign for Economic Democracy from 1978 to 1982. Picker co-founded an environmental consulting business, the Toxic Assessments Group, in 1982. The group organized a nonprofit statewide coalition of labor, farm, environmental and neighborhood groups to work on policy related to toxic hazards. Picker worked on a number of local political campaigns, including those of former Sacramento Mayor Joe Serna Jr. He became Serna’s chief of staff in 1992 and stayed with him for seven years. While working for Serna, he earned an MBA from the University of California, Davis, in 1998, specializing in marketing, social marketing and nonprofit management. Picker was Deputy Treasurer of Investment in the Office of the California State Treasurer in 1998-99 when Phil Angelides ran it. Picker left government in 2000 and became a principal at Lincoln Crow Strategic Communications. The company does public relations, policy advocacy, campaign strategy and grass-roots organizing. He also was a consultant at Kaufman Campaign Consultants from 2000 to 2002. Picker went on leave at his company in 2009 to return to government as senior advisor for Renewable Energy in the Office of the Governor. While doing that job, he was elected to a four-year term as director for the Sacramento Municipal Utility District, Ward 5 in November 2012. He had to leave the board and resign his position with the administration when Brown appointed him to the PUC 11 months ago. Picker is married to Bettina Redway, an attorney and a former deputy state treasurer. A former utilities executive and public affairs consultant, Michael R. Peevey served as president of the Public Utilities Commission from 2002 to the end of 2014. He was appointed by Governor Gray Davis and reappointed by Governor Arnold Schwarzenegger in 2008. Peevey founded New Energy Ventures, an energy provider that competed in California's newly deregulated market, in 1995 and sold the company in 2000. He went on to create TruePricing, a technology company that built software for large organizations to track and bring down energy costs. At the same time, he served on the boards of directors at Excelergy Corporation, a Massachusetts energy software company, and Electro Rent Corporation, which rents computer equipment. He extricated himself from involvement with all three firms when he took on his position with the PUC. Peevey chairs the boards of directors of the California Emerging Technology Fund and the California Clean Energy Fund. Both are nonprofit collaborations between regulators and energy providers. Peevey has contributed over $50,000 to a variety of national Democratic candidates and committees since 1997. He also gave a lone $1,000 to Republican Congressman Joe Barton, future chair of the Energy & Commerce Committee, in 1999. He is married to Democratic state Senator Carol Liu. Peevey's history as an energy executive has made him a target for criticism about the PUC's familiar relationships with the utilities they are charged with regulating. Legislators, officials and consumer advocates have criticized Peevey and other officials for taking lavish trips abroad indirectly paid for by energy companies. Whether those trips are opportunities to observe foreign energy systems and brainstorm big-picture policy solutions or chances for corporate lobbyists to, as former PUC President Loretta Lynch said, go “partying with [their] judges” is subject to debate. The appearance of impropriety was not improved by Peevey's decision, upon returning from Sweden on one such trip in August 2011, to emcee the retirement dinner of Southern California Edison lobbyist Bruce Foster. While Peevey is generally lauded for his work promoting renewable energy, critics have occasionally characterized that work as self-serving. In 2008, when Peevey proposed a University of California institute to research climate change solutions, support did not extend far beyond Governor Schwarzenegger's office. Legislators thought the proposal was a legal overreach and consumer advocates objected to its funding through a ratepayer surcharge. Peevey would have chaired the institute's board. Peevey announced he would leave at the end of his second term after the release of questionable e-mails during a court proceeding over the deadly 2010 San Bruno gas pipeline explosion highlighted an overly cozy relationship with Pacific Gas & Electric Co. (PG&E) and specifically called into question some of his actions. Some e-mails between PUC and PG&E officials discussed how to arrange for a favorable agency administrative judge to hear a rate-setting case related to the San Bruno explosion that killed eight people and leveled a neighborhood. The commission was set to vote on a proposed $1.4 billion penalty for the utility.